It goes on to include notes on communicating for specific teaching situations, inclusion and working with colleagues. It offers an easy-to-understand structure, incorporates key information on reflective practice and study skills, and provides full coverage of all the mandatory units. It introduces and defines the subject, places it in context in relation to new regulations, details how to accurately record reflective practice and explains how to use it to enhance teaching and learning. Coverage of effective delivery of the new Diploma qualification is included, giving guidance on planning and assessment. The fictional approach provides a picture of working life and professional practice inside a further education institution with the flexibility to explore every topic essential to the student teacher, from professionalism, differentiation and inclusion to behaviour management and student-teacher relationships. This fourth edition has been fully revised and updated and includes a new chapter on teaching practice with notes on observation and lesson planning. Click Download or Read Online button to get becoming a professional tutor in the lifelong learning sector achieving qtls series in pdf book now. Based firmly on what teachers and students have to say about their experiences, it uses case studies, dialogue and journal extracts to explore key issues and to help trainees and teachers develop professional expertise. Everyday examples and case studies are used to help the reader place issues in a working context. The process was redesigned in 2016 therefore the time is right for a book like this. This book provides an accessible overview of the key issues surrounding the curriculum within the learning and skills sector. It gives detailed advice on communication skills and promoting a supporting learning environment. Chapter aims are clearly stated and each narrative is followed by an analysis of key points through challenging critical thinking activities. Throughout, case studies provide insights into everyday challenges faced by trainee teachers. This second edition includes a new feature for those aiming for level 4 achievement and is updated throughout with the latest concepts and terminology. Throughout, case studies provide insights into everyday challenges faced by trainee teachers. This book provides an accessible overview of the key issues surrounding the curriculum within the learning and skills sector. The fictional approach provides a picture of working life and professional practice inside a further education institution with the flexibility to explore every topic essential to the student teacher, from professionalism, differentiation and inclusion to behaviour management and student-teacher relationships. Everyday examples and case studies are used to help the reader place issues in a working context. New information on behaviour management has been added to support trainees in an aspect of teaching that many find challenging. Each chapter in the book is presented as an independently authored 'paper' concentrating on a key theme, including professionalism, reflective practice and how previous experience can shape teaching. The text is accompanied by a Companion Website at www. It provides comprehensive support and practical advice and is closely linked to the new Professional Standards in Teaching, Tutoring and Training. It examines issues surrounding values and ethics from a variety of perspectives. Supporting trainees through all stages of their professional development, the text takes the reader through the theoretical background underpinning teaching and learning and offers practical guidance on day-to-day challenges. It goes on to explore the challenges of behaviour, participation and re-engaging disaffected learners. Finally, it covers resources for communication and their adaptation for different situations. It is ideal reading for trainees wanting to understand their responsibilities to students and professional colleagues. The clear contextualisation of the required Standards and skills is of particular value to pre-service student teachers and those beginning their careers. It introduces and defines the subject, places it in context in relation to new regulations, details how to accurately record reflective practice and explains how to use it to enhance teaching and learning. It provides comprehensive support and practical advice and is closely linked to the new Professional Standards in Teaching, Tutoring and Training. 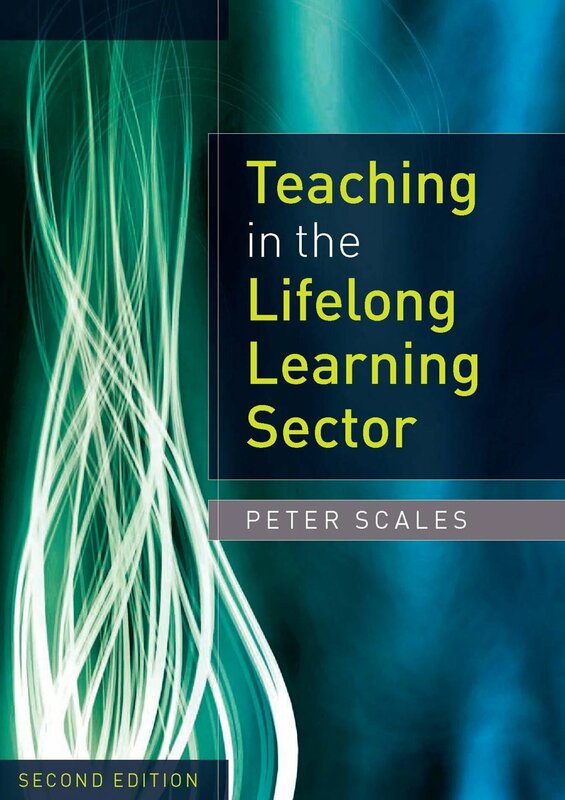 Existing teachers within the sector will also find this book a valuable resource for refreshing their knowledge and continuing their professional development. It introduces and defines the subject, places it in context in relation to new regulations, details how to accurately record reflective practice and explains how to use it to enhance teaching and learning. Readers are encouraged to think critically about learning theories and the implications for classroom practice. It provides a series of linked case study chapters, each set in the same fictional institution and each involving characters, with a range of pertinent roles, who appear and re-appear as their overall story arcs develop. This book provides comprehensive coverage of the sector's challenging quality agenda and focuses on the reality of teaching and managing under pressure. 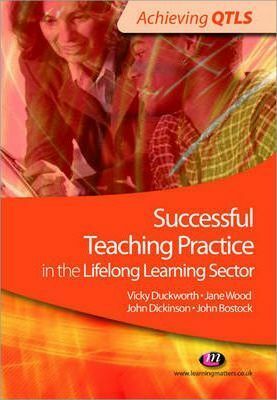 As well as appropriate models of practice relevant to this age group, further features of the book include: Practical hints, tips and suggestions for practice; Case studies to help you learn from and reflect on practice; Discussion of theoretical issues that will enable you to understand and underpin your practice; Additional reading and resource suggestions. This highly practical and easy-to-use text will help you identify your areas of strength and weakness, develop your knowledge and skills in order to pass the national literacy test and adopt strategies that you can use to support the language and literacy skills of your own learners. 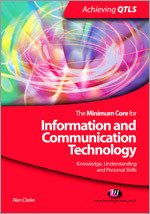 In all chapters, examples and real-life scenarios from the Further Education and Skills Sector are included, helping the reader to link theory and practice. This fourth edition has been fully revised and updated and includes a new chapter on teaching practice with notes on observation and lesson planning. Guidance on inclusive planning and assessment is given alongside detailed coverage of the legislation surrounding inclusion. It begins by asking what is meant by 'quality', and goes on to give guidance on delivering quality lessons and coping with inspections. Based firmly on what teachers and students have to say about their experiences, it uses case studies, dialogue and journal extracts to explore key issues and to help trainees and teachers develop professional expertise. It offers an easy-to-understand structure, incorporates key information on reflective practice and study skills, and provides full coverage of all the mandatory units. This highly practical and easy-to-use text will help you identify your areas of strength and weakness, develop your knowledge and skills in order to pass the national literacy test and adopt strategies that you can use to support the language and literacy skills of your own learners. Finally, it covers resources for communication and their adaptation for different situations.